The Government of Canada has invited 3,500 Express Entry candidates to apply for permanent residence in a draw that took place on April 25. The cut-off Comprehensive Ranking System (CRS) score for this draw was 441. The cut-off score for this draw is three points lower than the previous invitation round on April 11, which had a CRS minimum of 444. 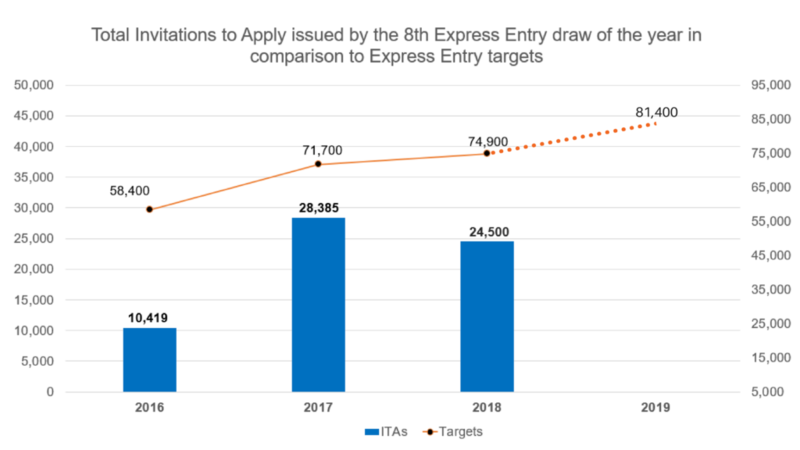 Today’s draw is the second consecutive invitation round in which Immigration, Refugees and Citizenship Canada (IRCC) issued 3,500 Invitations to Apply (ITAs), tying the highest number of ITAs in a draw this year. Today’s total brings the number of ITAs issued by IRCC in 2018 to 24,500. Under its new multi-year immigration levels plan for 2018-2020, the Government of Canada has increased its admissions target for 2018 to 74,900 admissions under the three economic immigration classes administered through the Express Entry system — the Federal Skilled Worker Class, the Federal Skilled Trades Class and the Canadian Experience Class. The admissions target for 2019 is 81,400. Larger draws, like the one conducted today and two weeks ago, may help IRCC reach these targets. They can also have the effect of lowering the CRS cut-off score, as we saw with these last two draws. IRCC employed its tie-break rule in this latest invitation round. The date and time employed in this round was December 8, 2017, at 10:25:33 UTC. 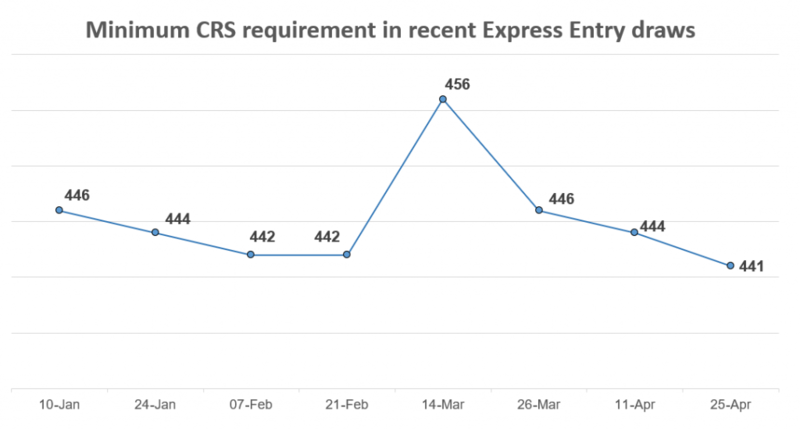 This means that all candidates with a CRS score above 441, as well as those candidates with scores of 441 who submitted their profile before this time, received an ITA. The following is a hypothetical example of a candidate who received an ITA in today’s invitation round. Sarya is 29 years old, has a bachelor’s degree and has worked as a programmer for three years. She has advanced English language proficiency and has never worked or studied in Canada. 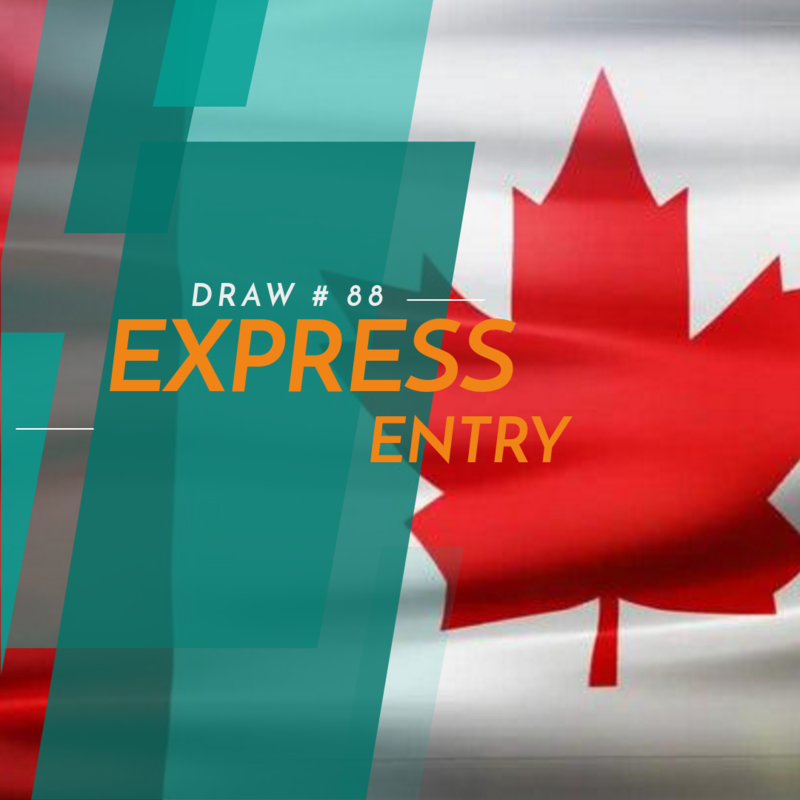 Her CRS of 441 would have been sufficient to obtain an ITA in the latest Express Entry draw. “Two consecutive draws of 3,500 have now knocked the CRS cut-off down to its lowest point of the year,” said Attorney David Cohen, senior partner with the Campbell Cohen immigration law firm in Montreal.